It is freezing here in the Northeast. I mean, single-digit cold. And as I spend each evening under tons of blankets and desperately gripping a cup of hot tea, my mind cannot help but wander to thoughts of warm, sunny, exotic destinations. 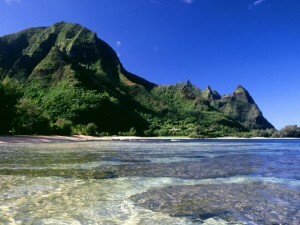 Luckily, the good people at travelworth.com have compiled a list of the “Top 10 Paradises on Earth.” Most of the geographical description is predictable–gorgeous beaches, serene waters, etc. However, some of the locations may surprise you (such as South Africa and Chile), and if they don’t, travelworth has thrown in a couple of off-beat choices just to ensure your intrigue. Some of the ‘game-changers’ include Canada’s Algonquin Park, Micronesia, and even England’s Cotswolds (which, although this place will not solve the problem of me slowly freezing to death, is actually quite stunning in its old world charm). The full list can be found here, and in all honesty every single one of the places listed sounds awesome. 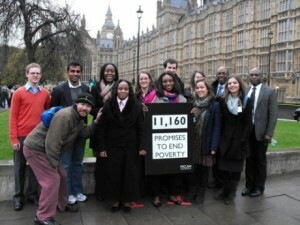 Parliament has received over eleven thousand personal pledges from Christians to do their part in ending world poverty. Working parallel to the Millennium Development Goals for 2015, these pledges signify the active effort to half extreme poverty around the world. Dr. Steven Croft, Bishop of Sheffield, has created a five week course in preparation for Lent called Exploring God’s Mercy, which urges Christians to immerse themselves in pop culture in order to better relate to that week’s sermon theme. This includes YouTube videos, podcasts, iPods, films, etc. I personally enjoy “The Fear” as the lyrics are very clever and thought-provoking. And yes, I’ll admit–the tune is insatiably catchy. 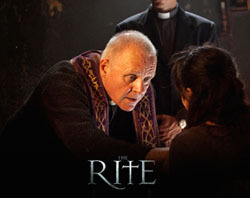 I also like the idea of integrating less obvious aspects of popular culture into a Christian realm. However, Lily Allen herself is a highly controversial figure–often ruthless in her comments and engaging in behavior some would consider not very Christian (or even dignified) at all! Still, if this is the kind of direction Dr. Croft is heading in, it’ll be very interesting to see what’s in store for the weeks to come! Blue Zones has developed a new app called the “True Happiness Compass” which claims to give a comprehensive analysis of ones happiness level in under 5 minutes. Under the tagline of “43 questions. 3 minutes. 5 recommendations.”, the True Happiness Compass gives analysis on how your life is remembered, experienced, and the effect of your environment on your quality of life. MyCatholicBlog took the quiz and yes, it did in fact take about 3 minutes. As with any quiz, the results were fairly generalized, but the questions themselves were thought-provoking and forced a fair amount of self-examination (as much as can occur within five minutes, anyway). And, rumor has it that this new innovation is set to be discussed on Oprah today, so it will undoubtedly receive a staggering increase in popularity and notoriety. [McCracken’s] definition of “Hipster” doesn’t seem to help either: fashionable young people. The definition is so broad and so soft that it may be more indicative of just how hard defining “hipster” really is. McCracken gives a nod to this reality but pushed on ahead anyways. For him “hipsters” are basically defined by their obsession with style, and for part two of the work he builds his case by analyzing every “form” of Christian hipster on display in the culture. His analysis consists of what they wear, what music they like, and what “vices” they indulge in. Admittedly, MyCatholicBlog has not read the book, but has definitely come across the concept of ‘Hipster Christianity’ before, and is often left with the same feeling of discouragement Dunham may feel. We also agree that ‘hipster culture’ is too vastly defined, and because of this tendency to over-generalize, the hipster label holds indications with which certain individuals would not appreciate being associated. My point though is not to criticize or really even to comment on the extent of which being labeled a hipster still holds credibility. Instead, it is to defend all those who have wrongfully been accused of living a ‘hipster lifestyle’ by urging this: because of the high prevalence of ‘hipster culture’ in everyday life, it is nearly impossible to not become entangled in it to some extent. For example, at any given moment I too can be found in a small cafe/local brewery reading Hunter S. Thompson/F. Scott Fitzgerald in my plaid shirt/twelve layered tank tops. I may too say something that someone can interpret as ‘ironic.’ Does this mean that I define myself as a hipster? Absolutely not. It simply means that sometimes, sometimes, I do things that have been smashed into the sphere of ‘hipster living.’ And with that simple activity/comment/outfit, I have somehow become labeled. To this same extent, those who sometimes to do hipster things and also follow Christ are not necessarily ‘Hipster Christians.’ They are not Christian for the ‘coolness’ factor, or for the irony (oh, how hipsters love irony! 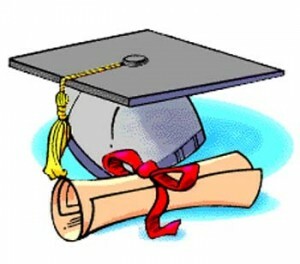 ), or for any other shallow or misguided reason. They may simply just be Christian, and young, or very into popular culture, and consequently (and unavoidably) sometimes act out hipster tendencies. And since when has seeking the truth of God been a ‘hipster’ activity anyway?! Long-rant finished, I leave you with this one thought: Integrating God and Christianity into modern life is a natural transition of religion in an increasingly advanced world obsessed with youth. It is not, and should not ever become, a cultural movement intended to be trendy. 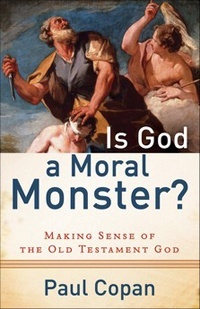 In his book Is God a Moral Monster: Making Sense of the Old Testament God, Paul Coplan responds to attacks that God of the Old Testament is a “moral monster.” Critics and atheists tend to point to the Old Testament’s seeming promotion of polygamy, slavery, and ethnic cleansing. Yet Copan, president of the Evangelical Philosophical Society and author of nine other books, including When God Goes to Starbucks: A Guide to Everyday Apologetics, defends such passages and claims they are simply misinterpreted by those who criticize them. The book also tackles such issues as jealousy, harsh punishments, kosher laws, and if/how religion coincides with violence. More information on Is God a Moral Monster can be found here, in an article from the Christian Post. 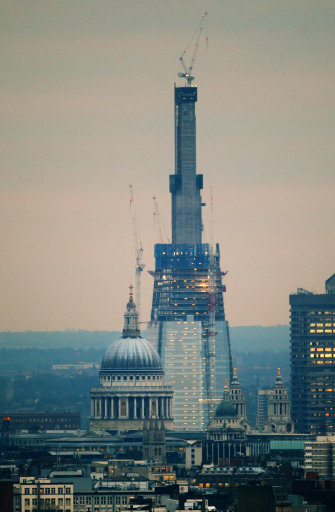 Many are reluctant over the construction of the Shard of Glass tower in Central London, believing it will compromise the London skyline and more importantly, the prominence of St. Paul’s Cathedral. The Shard of Glass tower stands at 1,000ft., costs about 400 million pounds (approximately $635 million), and is halfway through completion. However, new photos of the Southbank panoramic (along the river Thames) shows the tower ‘trumping’ the iconic St. Paul’s Cathedral. The cathedral is symbolic as the lasting legacy of Sir Christopher Wren, the man responsible for rebuilding London after the Great Fire of 1666. Completed in 1711, St. Paul’s has served as an important part of British history; funerals of Lord Nelson and Sir Winston Churchill were held there, as well as peace services which marked the end of the First and Second World Wars. As of now, St. Paul’s is the tallest building in the City of London (the area along the Southbank, approximately 1 mile in diameter), and its skyline is protected by the government sector the National Heritage. However, though the skyline of London is certainly beautiful, historical, and deserves (to some extent) preservation, I personally feel that expansion through architecture is an inevitable facet of modernity. Look at St. Patrick’s Cathedral in New York–beautiful, large, and very important…and also surrounded on all sides by buildings far taller than it. Does that make the cathedral itself any less significant? No, not really. Does being in the midst of skyscrapers detract at all from the cathedral’s history? Absolutely not. St. Paul’s is breathtaking inside, and at 400 ft. tall, still quite a prominent figure in the London skyline. The Shard of Glass does not compromise it’s distinct place in British history, or even it’s distinct place in the City of London. Don’t get me wrong, I’m not exactly excited over the Shard of Glass. I am simply suggesting that St. Paul’s should generate awe for its own merit, for the architectural feat in itself–not in comparison to its surroundings. I have had the good fortune to see many beautiful churches in my life; in fact, at one point the “local” church to my home was the world-famous Westminster Abbey! 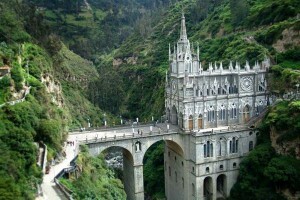 However, I have never seen any places of worship quite like these, shown in the article entitled “50 Most Extraordinary Churches of the World.” The list includes churches found in natural habitats (for instance, once church is imbedded in rock) to those designed in an “art-deco” style, to even one church that was formally a Chinese restaurant! Though the article is comprised mostly of pictures, it does contain some information (where available) about each church. Definitely interesting!